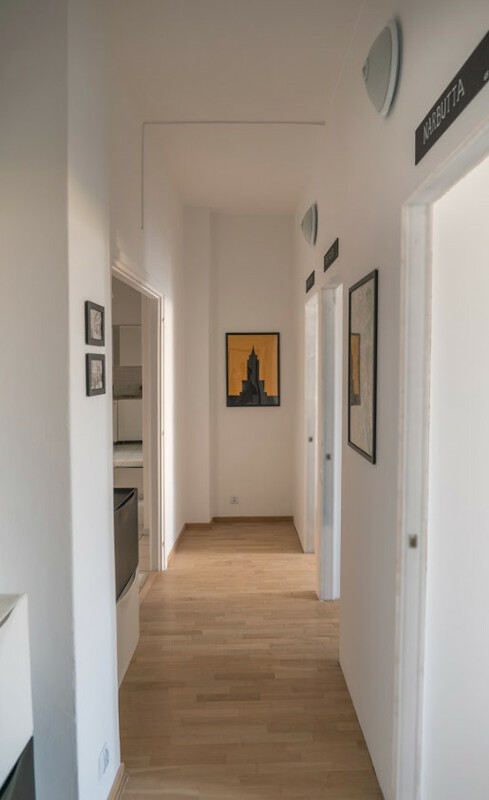 The brand new student house is dedicated to international students, who value friendly, international environment, are open to new cultures and want to live in premium conditions with a great respect to the privacy, as all the rooms are single and lockable. 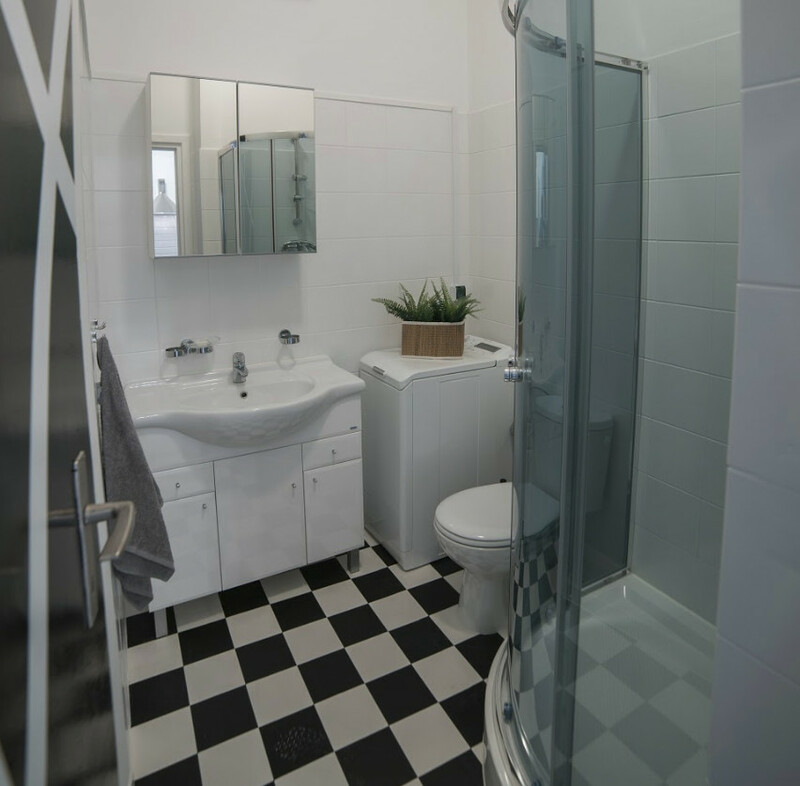 The student house has 4 floors and each of the floor is divided by 2 student apartments. 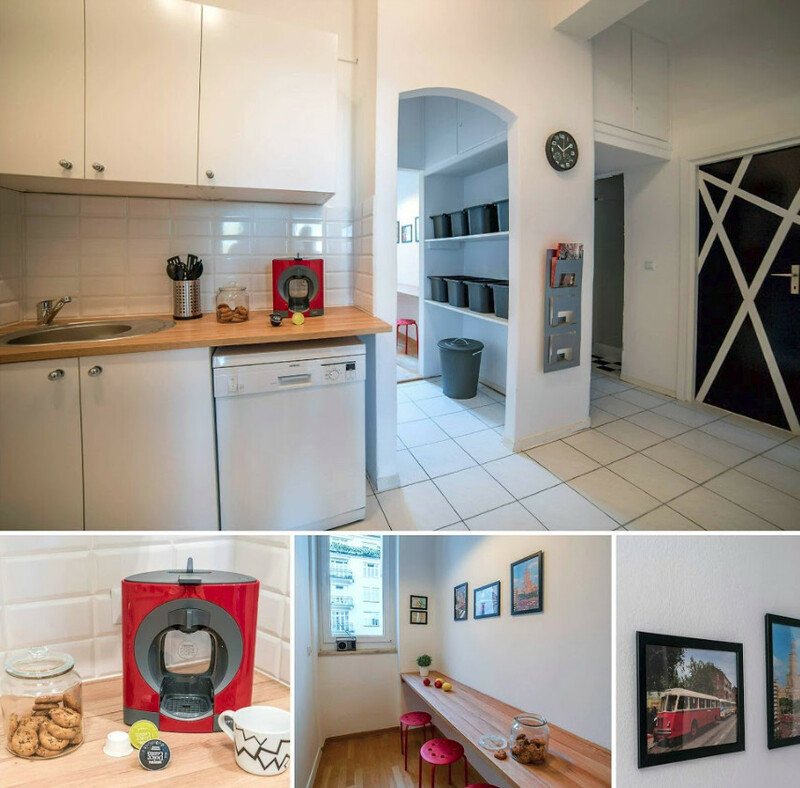 Each of the apartment has 8 single rooms, 2 bathrooms, kitchen and a space for eating. On top there is parking for cars & bikes available. 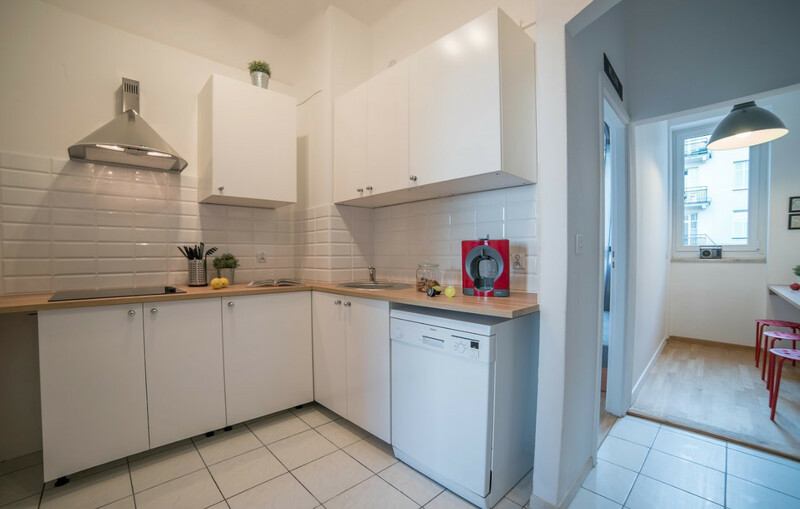 EQUIPMENT: Kitchen is fully equipped in all kind of dishes, plates, cups and mugs as well as with two fridges, electric stove, dishwasher, coffee machine, toaster and a blender. 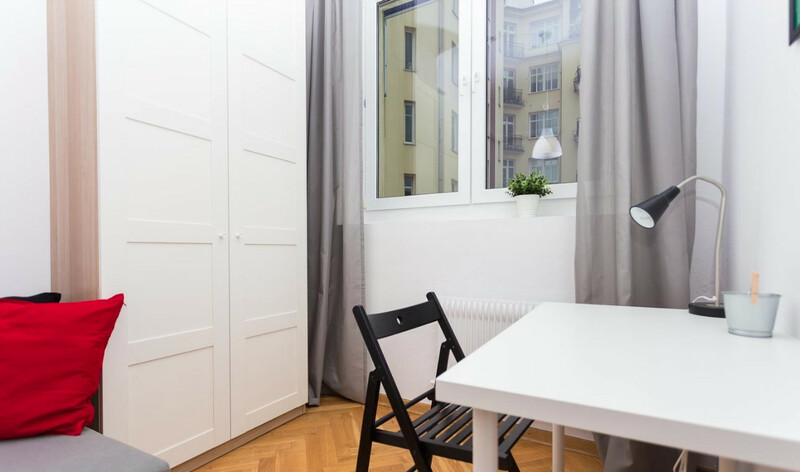 There is also ironing board, iron, vacuum cleaner at your disposal. 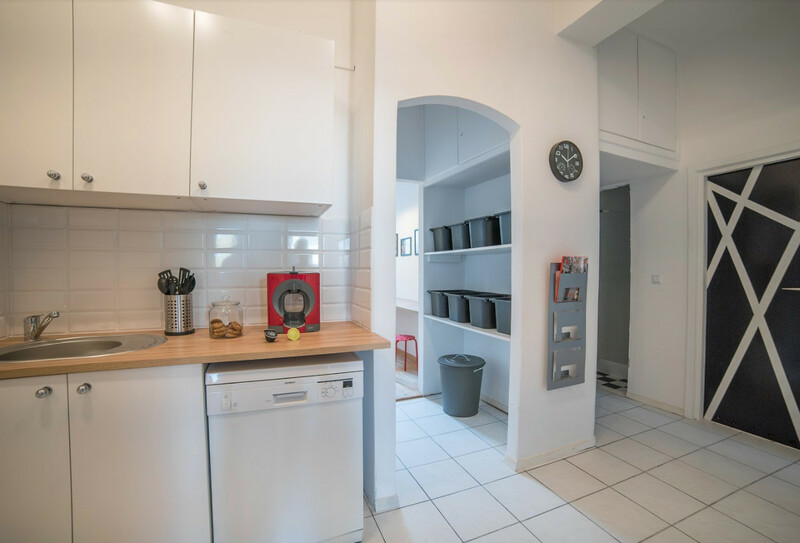 High speed WIFI 150MBit internet is available as a dedicated laundry room with washer machines and automatic dryers. 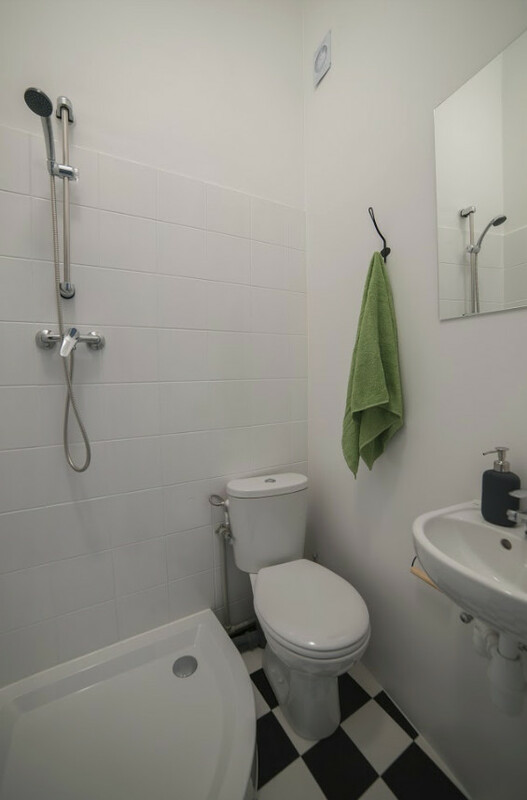 FULLY FURNISHED: each room is equipped and ready to move in, has a bed with drawer, spacious wardrobe, a desk with a lamp, a chair, shelves and a drying rag. 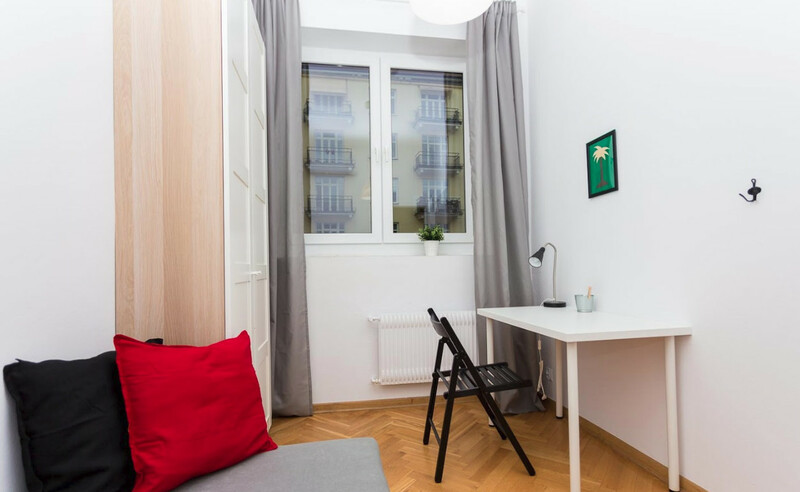 There is a possibility to rent a bed linen and duvet as well. 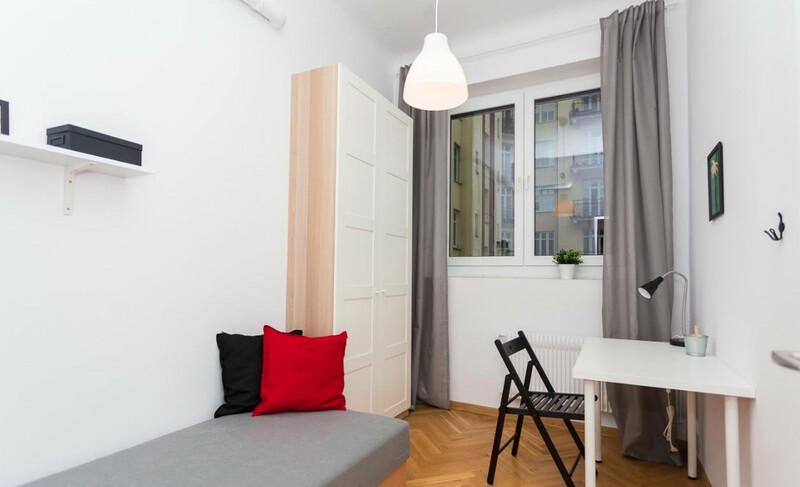 LOCATION: The student house is located in the prime location of Mokotów - Chocimska 3, which is considered as one of the most prestigious location of Warsaw. In the close neighbourhood you will find a park with a lake (Park Morskie Oko), bars, restaurants and great access to the public transport. Bus and tram lines are within 300 m walking distance.